Hi Everyone! Happy Spring! 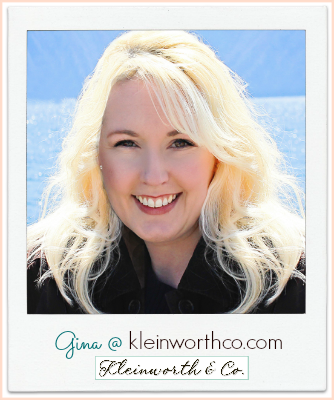 It’s Gina from Kleinworth & Co. It has me busy in the kitchen testing out recipes so I can figure out what will end up on the final Easter menu. 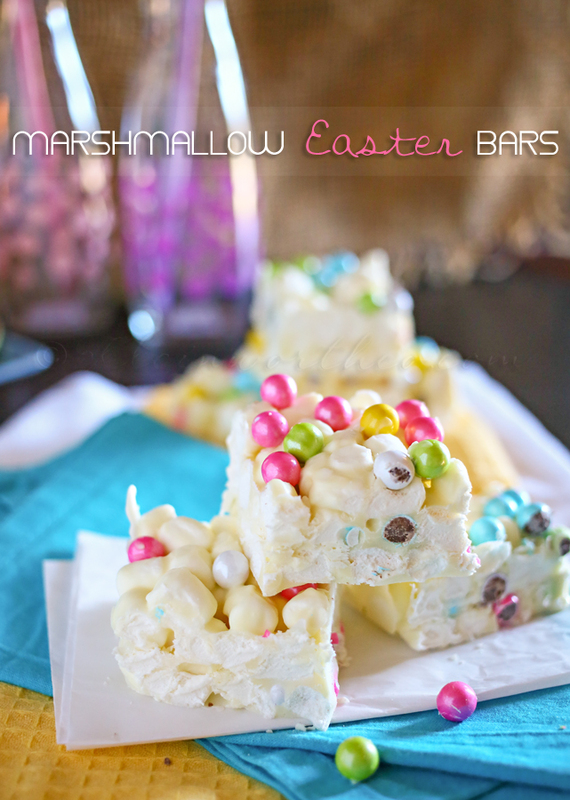 One thing I know for sure is that I will be making these Marshmallow Easter Bars in a double batch for our Easter celebrations. 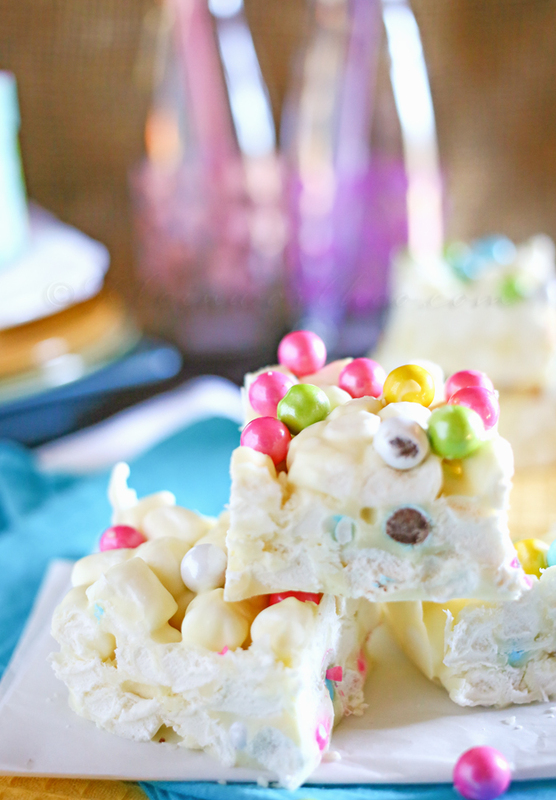 You can’t go wrong with marshmallows, white chocolate & bright colors for your Easter menu. Are you enjoying the warmer weather? I know we are- it’s absolutely glorious here in North Idaho. I’m getting so excited for Easter! Can you believe it’s right around the corner? The beautiful sunshine, flowers blooming, grass growing & bright colors everywhere just make me so happy. 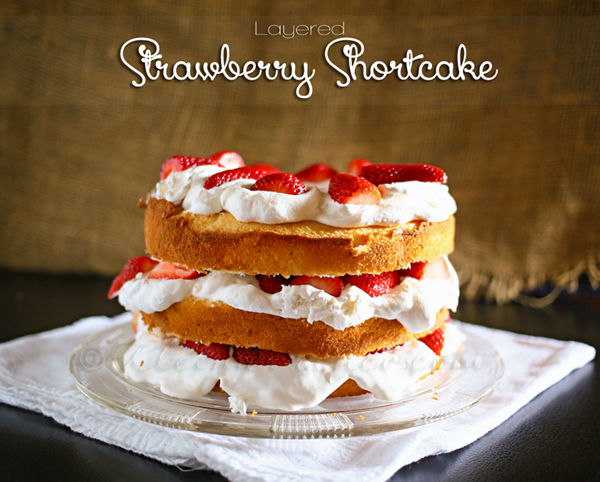 It is the perfect time for a Spring treat! I love how easy these are to make. Done in less than 30 minutes- including set time. You can’t beat that! 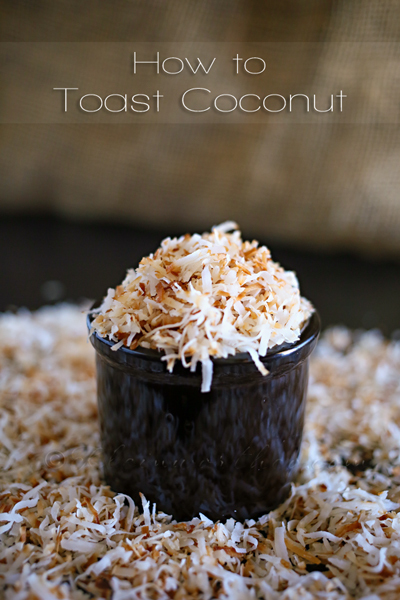 You can make them ahead of time but because they come together so quickly you could easily whip these up just before your guests arrive & they will be set before you even serve drinks. 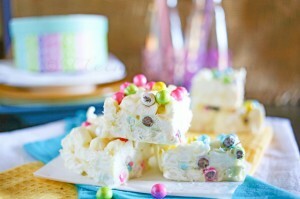 You could top these with just about anything – M&M’s, Cadbury candies, even jelly beans would be great. Oh my – they melt in your mouth. Mmmm- I love chocolate & marshmallows together! Want More Easter Menu Ideas? I have been working on a few things I know you will love. Thank you so much Desiree & The 36th Avenue readers for always making me feel so welcome here.